There used to be a time when many people thought that pen-based computing on tablet PCs was going to become the standard way of computing in medicine. After all, doctors are busy running around so they need something portable. They want to jot notes when they're speaking with patients. Plus, handwriting recognition software transformed that illegible chicken scratch into legible words. Now, devices like the Apple iPad have gained favor by doctors who want something light, easy-to-use, and with very long battery life. Of course, most doctors aren't "writing" on their iPads using a digital pen since the capacitive screen only supports a limited line of pens that lack fine accuracy. Plus, you can't rest your hand on the screen while you're writing on the iPad. As we anticipate a new breed of tablet PCs this fall powered by Windows 8, I find myself wondering how these devices will get adopted by physicians. After all, doctors already love their iPads, so will they be drawn to a new tablet? Or, will these Windows 8 tablets meet an unmet need among doctors who would rather use a device that allows them to have full access to their fully functional EHRs and CPOE systems? 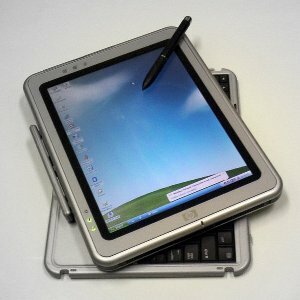 Will physicians prefer to "write" on their tablets as they sit or stand by the patient's bedside? Or, will they continue to prefer to tap tap tap on the screens of their iPads? Perhaps once we rely entirely on voice-navigation and speech recognition for data entry, that's when the digital pen will become obsolete.